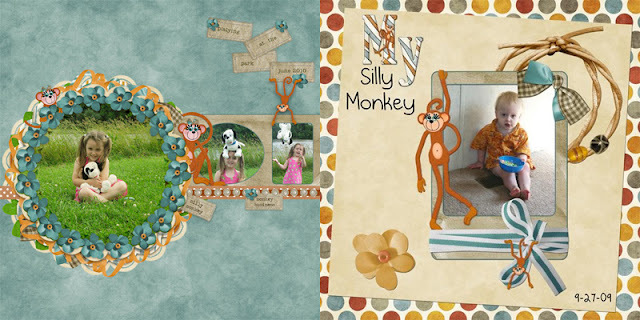 One of the ways you can cuten up your pages is to add whimsical characters such as my monkeys. 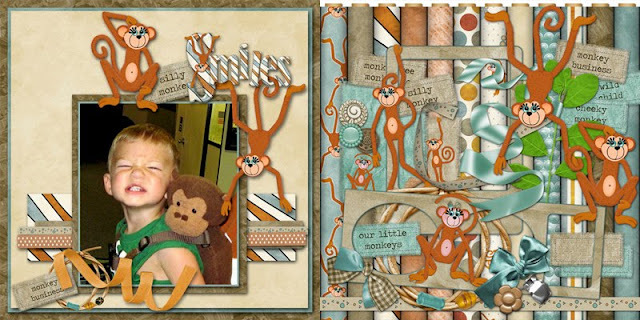 My collection called Cheeky Monkeys is just right for adding monkey characters alongside your own little monkeys. Thanks to TerryF, Julie, Liz, and Monica for working their magic with my designs. 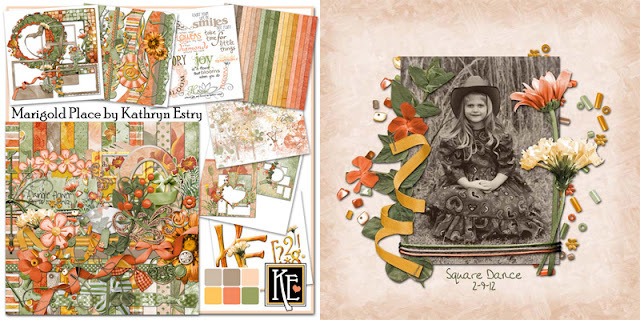 I have a lot of M kits in the store that I like, but today for my favorite M kit, I'm leaning toward Marigold Place. 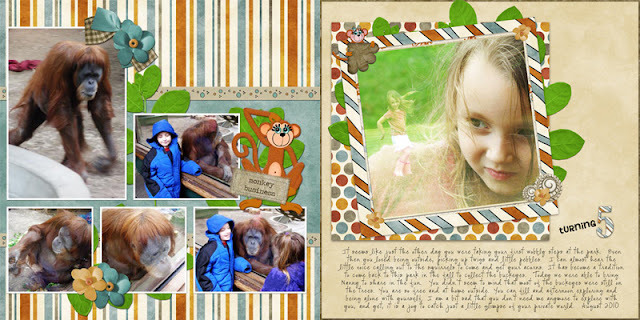 Thanks to Monica and LoriB for these layouts.